Jason Warfield Residential Design is a multi-discipline firm bringing over 22 years of construction and design knowledge to home building and design. When working on any project, from large custom homes over 12,000 square feet, to kitchen remodels and bedroom additions, each project receives the same design effort at Warfield Residential Design. Custom homes are designed by considering all project aspects, including the owner’s planning requirements, budget, site considerations, and any Architectural Control Committee requirements. Additions to existing residences are treated to the same standard of care, with the additional consideration of seamlessly blending the new structure with the existing. Garage Additions and detached garages are looked at just as rigorously. Collaborating with local structural engineers and general contractors on residential projects increases our experience and knowledge base regarding the latest building code requirements for all large scale projects. Construction Planning is the process of visualizing the proper sequence and and execution of a project, and then presenting those steps in a specific format. The correct construction planning truly helps keep your project on time and completed in the proper order, while allowing you to see the overall timeline. Because of Jason’s experience as a general contractor, he looks at projects with more than just a designer’s eye. Jason and the members of Jason Warfield Residential Design take pride in not only designing your new addition but also helping you to see your renovation dreams come to life. 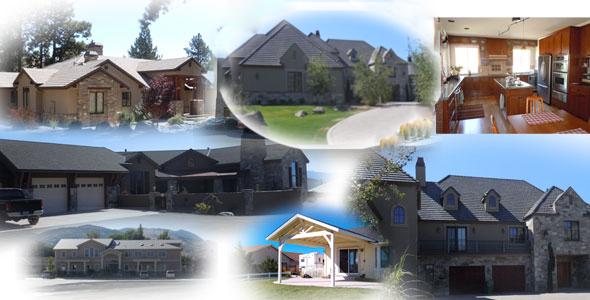 When it comes to Residential Designs, Additions to your home or garage, Custom Homes, Remodeling, you do not have to look any farther than Jason Warfield Residential Design in Reno Nevada and surrounding areas. Proof is provided in the words of our satisfied customers and images from some of the projects we have done. Looking for an innovative solution to improving your home? Jason and the staff at Jason Warfield Residential Design can help improve your home’s value, give your home a new and revitalized feeling, while giving you that sense of productive change by remodeling your kitchen, bathroom, bedroom or adding on an additional room. You don’t have to move to have a new home feel or to meet your changing needs in life; consider an addition and/or remodel! Making effective and well planned design changes to your current home can provide this need, at a fraction of the cost (and hassle) of buying a new home. Bathroom remodeling in Reno is a great way to increase the value of your home, and it is also a way to change your environment without changing homes. Mission Statement: To provide high quality design and efficient building plans for construction projects of all sizes and budgets using my years of knowledge.